Without images, there is no story. This post is part of a five-part series — if you’re trying to figure out how to get press for your startup, it’s probably worth reading all five. Should startups do a press release when they raise funding? After a lot of positive feedback on my How to get your startup covered in the news article, I’m realizing that the #1 thing people still aren’t doing properly, is images. Let’s face it: It doesn’t really matter how fascinating your story might be; people are in a hurry, and as they’re scrolling through Facebook, Twitter, and such, most people don’t even really read the headline. You have to earn their time, and to do that, you need to capture their eye. How do you do that? Images. Life is too short for boring imagery. 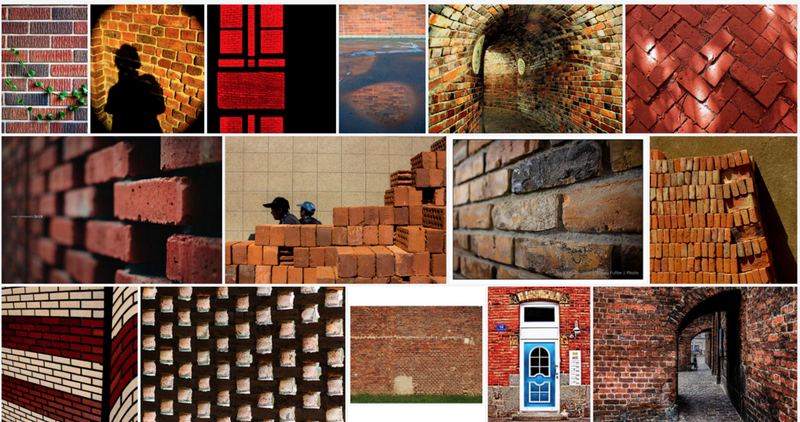 I couldn’t think of anything more mundane than “brick” to search for, but even here, Flickr shows that there’s a hundred different, interesting way of telling a visual story. The best photographs are something people can relate to in one way or another, which usually means that the images need to tell part of the story. Yes, you may have a very handsome CFO, but unless they are instantly recognizable to 99% of the readership, using a photo of them isn’t going to fly: It’s yet another face. Think outside the box, and don’t necessarily worry about being literal. The best photographs are surprising, amusing or visually appealing. If you are showing off your product, at the very least show the product being used in the context it is meant to be used; a photo of someone holding up a phone doesn’t make any sense. That’s not how you use an app. It just looks silly. Don’t: Screenshots photoshopped onto phones. Great story, but terrible image; In the thumbnail, you can’t see what’s going on, and the phone is completely devoid of context. Not a good way of making a first impression, and trust me, as a tech journo, I’m beyond bored of ‘photos’ like this. Don’t: Products on a white background. Apple do incredible product photography, no doubt about that, but photos-on-white look incredibly weird in almost every context. It’s way better to have some context to your image. Don’t: Photos of people we don’t know. Alba can probably get away with being used in an image: she’s recogniseable enough for that to make sense. Your CTO, investor, or bank manager? Probably not. Try to come up with something more creative if possible — you can do it! If you do send us a portrait, make it a good one, please. I don’t want to use a poor quality photo, but if I do decide to use it, it’s not going to do you any favors if it makes the story look drab. Don’t: Images with text on them. Using logos or text on images is just lazy; a good photographer can tell a story with just a photograph most of the time. Rise to the challenge. Again a good story, but the images I received were dire. A bit of light photoshopping might have made them better, but my job is to report the news, not to make your photos look shinier. If the mission is to get the word out there, hire a photographer, or find a friend who is handy with a camera. It makes a world of difference. It’s not all bad, though; there are a lot of great ways of getting your message across, and to help yourself get coverage for your story. Using something only tangentially related to the story is cheating — but it works incredibly well, and catches people’s attention. If you work in the travel industry, especially, and you don’t have good images, it makes me question why we’re even having a conversation. DNA analysis might just be a little bit niche, but anyone who has an interest in the field (or who has watched enough CSI), will recognize a DNA analysis, so this might just be doing the trick… At least it’s colorful and catch the user’s attention. Do: Make it look unusual, glamorous, or eye-catching. Space-age looking car? An almost stereotypically Cuban photo? A fancy looking plane against a gorgeous sky? Job done — it adds a lot of context. For company logos, a photograph of the logo used in context is far preferable to a logo-on-white type deal. At least it adds a bit of life to things; and the examples from Postmates and Redhat above are great: Yes, they’re still just logos, but at least they look good. As for Lyft: The big fuzzy pink moustache was never part of the logo, but it’s such a strong brand image that it helps tell the company’s story really well. Kudos, Lyft. Forq is all about food, so using screenshots of the app in the context it is meant to be used (in this case, in the middle of the process of baking a cake) makes for far more compelling images than just a screenshot on a phone. For the Shuddle story; it’s obviously a screenshot of a website, but the picture itself is great, and tells half the story right away. This one came across my desk with some truly awful photos, which was a shame, because it was a good little story. So I staged my Apple Watch and my phone, and snapped a quick photo, edited it on my phone, and voila. It took all of 20 seconds. The moody black and white helps illustrate what it’s about, and the presence of both the Apple Watch and an iPhone at least helps show off that it’s a watch app. Is your press release not worth at least that? Gifs! I’m not a huge fan of getting a lot of moving pictures everywhere, but they sure catch people’s attention. And sometimes, they help tell the core part of the story. Use ’em sparingly, and always provide us with a non-moving alternative, for sure… But hey, it helps! 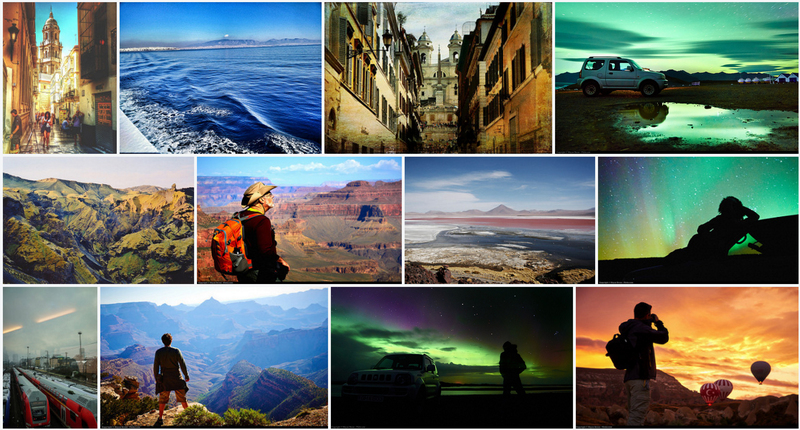 Image at the top of this post is a search for Creative Commons photos related to the word ‘travel’, sorted by ‘most interesting’. It features photos from Nick, Meenakshi, Игорь, Richard, Paramita, Matthias, and several from Moyan. Haje (@Haje on Twitter) is the Director of Portfolio at Bolt, a VC firm investing in concept-stage companies at the intersection of software and physical goods.